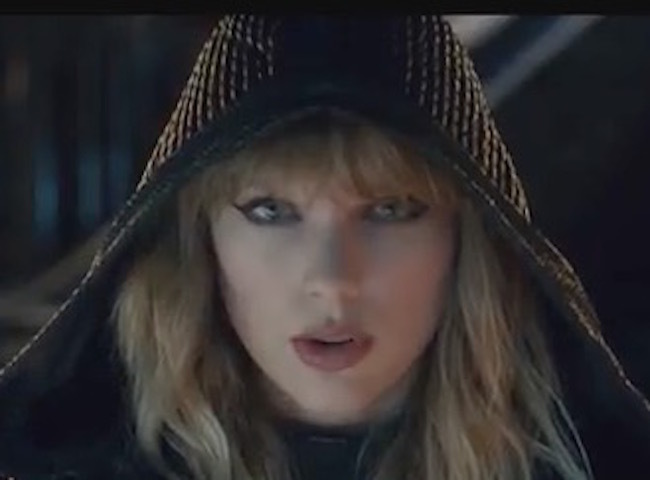 Can you find the hidden messages in Taylor Swift’s new video? Related: Which Of Taylor Swift’s Previous Boyfriends Are Actually Gay? Seriously, is there anything Tay-Tay can’t do? Besides land a catchy chorus? Yawn… Why does the world worship this woman?? I see Joseph Kahn’s behind, and it’s not pretty. I’ve never found this woman the least bit interesting. She’s like so many other pop stars: she can carry a tune, but her voice has no character or anything distinct to offer — there’s no vibrato, no beauty of tone — just boring, monotonous sound. When people are reduced to wearing outrageous costumes and surrounding themselves with gorgeous backup singers and dancers, instead of just singing, there’s a reason. There are very few good singers still working, but she is not one of them. Not a good song…I cut it off halfway through. Taylor Swift tends to do songs I either love or hate. She butchered “Silent Night” on a holiday special. But “Shake It Off” is awesome.